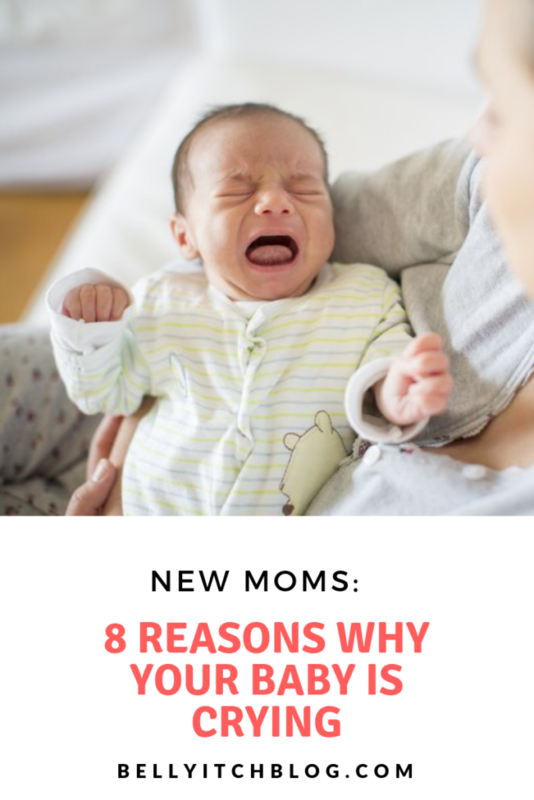 We all know that babies cry, but many soon-to-be parents do not fully realize just how much crying they are going to be dealing with in the first months of the baby’s life. Newborns are helpless to do anything for themselves, and crying is their primary form of communication. It is how they express their wants and needs, and it is how they show that they are uncomfortable. In fact, babies cry for so many different reasons that it can be hard for parents to figure out what to do. At times, it may seem like the baby is crying for no reason at all. But there is always a reason for a baby’s crying. If it is not one of the most common reasons, then keep moving down this list until you find the solution that helps. After a few months you will hopefully become skilled at recognizing what your baby is asking for. Then, the crying phase will eventually end. 1. Hunger-Hunger is one of the most common reasons why babies cry, and it usually comes with other signs of hunger. For example, you might notice your baby smacking her lips or putting her hands to her mouth. Crying usually starts when a baby feels moderately hungry, and it will intensify as the hunger worsens. 2. Sleepiness When a baby is in a comfortable position, is not hungry, and does not have a dirty diaper, it is usually pretty easy to fall asleep. But when he is tired and being kept from sleep for whatever reason, crying usually results. In many cases, while crying indicates tiredness, it may also mean that something else is wrong. For example, the baby may have an upset stomach, or he may simply crave some attention before going to sleep. 3. Dirty diaper As you can probably imagine, having a dirty diaper is uncomfortable. Babies are used to it and can usually put up with the uncomfortable feeling for a short time, but they almost always start crying after a few minutes. Fortunately, this problem is easy to identify. 4. Colic A colicky baby cries much more than is normal, but no one has figured out the exact causes for this condition. It could have to do with digestion, or it might be due to chemical imbalances in the young one’s developing brain. In any case, if you think your baby is crying more that is normal and often for seemingly no reason, see the doctor to make sure that there are no other more serious conditions. 5. Wants attention Babies crave love and affection even more than the rest of us do. They love the feeling of being cuddled, and they are comforted by the warmth of a parent’s body. If your baby is crying and it does not seem to be because of any of the other common reasons, try holding her close and saying some comforting words. A little love may be all she needs. 6. Stomach problems Babies seem to suffer indigestion more than the rest of us, which may have to do with the fact that their digestive systems are still underdeveloped and have not found their long-term balance. Plus, babies commonly swallow lots of air when they are breastfeeding, drinking from a bottle, or crying, and this can lead to discomfort. Work on your burping technique, and you should be able to take care of many of these issues without much trouble. 7. Too cold or too hot Sometimes crying simply means, “I am uncomfortable.” The most common cause for baby discomfort is too much or too little clothing. Babies generally like to be warm and bundled up, but it is possible to overdo it. Plus, too much clothing and blanketing can inhibit breathing. 8. Boredom Just like the rest of us, babies like to be entertained. It is no fun to just lie around all day and not having anything to look at or to experience. When your baby is crying for seemingly no reason, it could be that he just wants something to entertain him. If you are too busy to be the entertainment right now, try turning on a cartoon or even just playing some music.